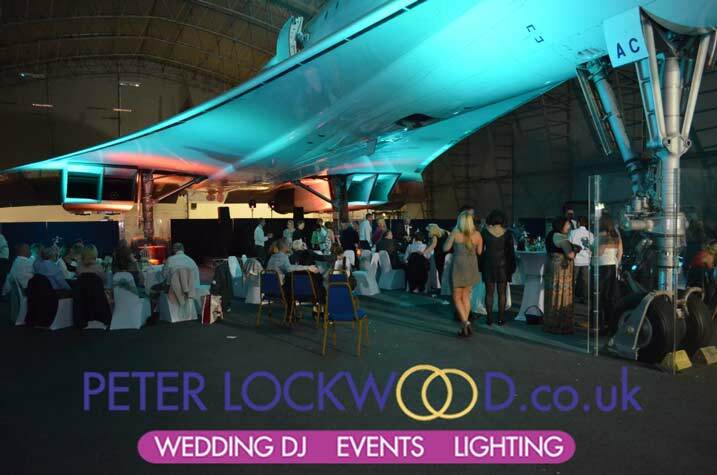 Concord Manchester Airport Lighting Hire. 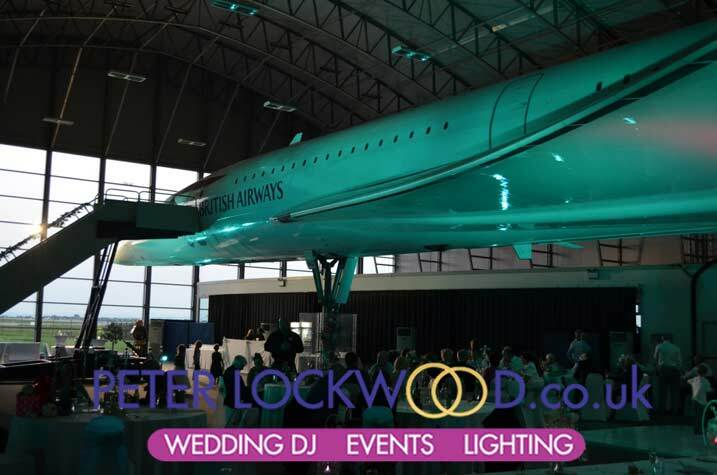 I was looking forward to lighting the iconic Concorde G-BOAC from the moment I got the booking, for over 9 months I was itching to go and set up my lights. It takes a lot of lights to bring this lovely plane alive. I used 32 next time I will use 2 or 4 more under the wings to provide lighting for the tables, as I thought it was a bit dark.. One of the best things about concord is its white this provides a blank canvas to work with. I can also supply drapes to hide the parts of the hanger that you are not using. The first picture shows concord with the sunlight coming through the hanger windows you can still see the teal lighting on the plane. Dont forget to click on the pictures to see them full size. 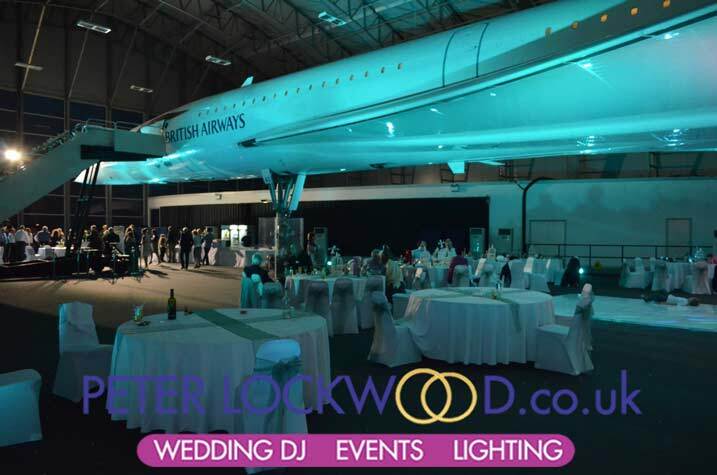 My Fee for wedding or event lighting hire at Concord Runway Visitor Park at Manchester Airport is from £400 fully fitted set on your choice of colour and removed after your event.